Wagtail are delighted to be attending the next Armed Forces & Veterans Resettlement Expo organised by Pathfinder International Magazine. The event will take place on Thursday 14 March at Hampden Park, Glasgow. Wagtail will have information on their range of detection dog handler courses, including 20% off their explosives detection dog handler courses. 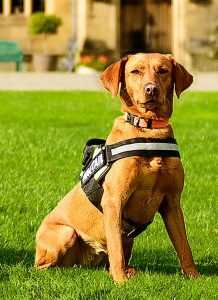 Stunning drug detection dog, Timber will also be at the Expo. Service and ex-service personnel, eligible for the MOD’s Enhanced Learning Credits (ELC) Scheme, can use their Credits towards funding Wagtail courses.